Maragheh (Marāghé or Marāgha) observatory (Persian: رصدخانهٔ مراغه‎) also known as Khajeh Nasir Observatory, was an institutionalized astronomical observatory which was established in 1259 CE under the patronage of the Ilkhanid Hulagu and the directorship of Nasir al-Din al-Tusi, a Persian scientist and astronomer. Remnants of the observatory's main instrument, protected under a dome. It is not known with certainty until when it had been active. It turned into ruins as a result of frequent earthquakes and lack of funding by the state. To save the installation from further destruction, Cultural Heritage Organization of Iran built a dome-framed shelter and it plans to hold an exhibit of astronomical devices used at Maragheh observatory. Located in the heights west of Maragheh, East Azerbaijan Province, Iran, it was once considered one of the most prestigious observatories in the world. The observatory is currently covered with a dome-framed brass structure and is situated two miles west of Maragheh. It was financed by waqf revenues, which allowed it to continue to operate even after the death of its founder and was active for more than 50 years. Considerable parts of the groundwork are preserved in the ruins. In a 340 times 135 m citadel-like area stood a four-story circular stone building of 28 m diameter. The mural quadrant to observe the positions of the stars and planets was aligned with the meridian. This meridian served as prime meridian for the tables in the Zij-i Ilkhani, as we nowadays apply the meridian which passes the Royal Greenwich Observatory. Colage, clockwise order from upper left: The observatory during the 1910s, the set of units found at the hill level of the observatory was as follows : Central Tower, platform Staircase, materials, what remains of the interior decoration. Upper right: Tusi Couple. Lower right: architectural drawing. Lower Left: tubes and cavities of glazed pottery in excavations of the hill of Maraghe observatory. An image from the book Zij-e Ilkhani written by Khajeh Nasir al-Din al-Tusi shows the Khajeh Nasir Tusi Group or Maragheh Observatory Group at work in the Observatory. The major members of the group headed by Khajeh Nasir were Moayed Aldin Orozi, Fakher Aldin Maraghi, Fakher Aldin Ekhlati, Najm Aldin Dabiran. The observatory served as a model for later observatories including the 15th-century Ulugh Beg Observatory in Samarkand, the 16th-century Taqi al-Din observatory in Istanbul, and the 18th-century Jai Singh observatory in Jaipur. Swerdlow, Noel (1973). “The derivation and first draft of Copernicus’s planetary theory. A translation of the Commentariolus with commentary”, Proceedings of the American Philosophical Society 117, 423–512. Pederson, Olaf (1993). Early Physics and Astronomy. Cambridge: Cambridge University Press. Morelon, Régis; Rashed, Roshdi (1996), Encyclopedia of the History of Arabic Science, 3, Routledge, ISBN 0-415-12410-7. Richard Covington (May–June 2007). "Rediscovering Arabic science", Saudi Aramco World, p. 2-16. Wellesz, Emmy (1965). An Islamic Book of Constellations (Bodleian Picture Book, no. 13). Oxford: Bodleian Library. Saliba, George (1995). A History of Arabic Astronomy: Planetary Theories during the Golden Age of Islam. New York: New York University Press. Sayili, Aydin (1988). The Observatory in Islam. Ankara: Turk Tarih Kurumu Basimevi. Saliba, George (2007). 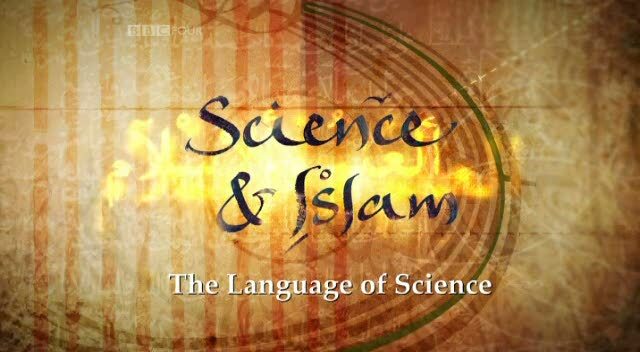 Islamic Science and the Making of the European Renaissance. Cambridge, MA: MIT Press. Vardjavand, Parviz (1987). Kavosh-e Rasadkhaneh-e Maragha. Tehran: Amirkabir Publications.